Veterinary professionals can tap online resources to remind and educate clients about the value of heartworm prevention. Wilmington, Delaware —The American Heartworm Society (AHS) has updated canine and feline heartworm guidelines and developed a new educational initiative to help veterinary teams and dog and cats owners implement the recommendations and reduce heartworm infection incidence. The revised guidelines were announced during the 2012 North American Veterinary Conference (NAVC). The revised guidelines address disease diagnostics, prevention, lack of efficacy (LOE) and adulticidal therapy. The numbers of LOE reports to the United States Food and Drug Administration (FDA) have increased, prompting AHS members to revisit and revise the guidelines to reflect the latest information. The entire guidelines are available at www.heartwormsociety.org. The potential for heartworm infection has been increasing, thanks to mosquito-friendly environmental changes, movement of infected wild and domestic animals and persistence of vectors, according to AHS. Heartworm is considered at least regionally endemic in all states except Alaska, plus the U.S.
Virgin Island, Puerto Rico and Guam. Through a year-long educational campaign called “Think 12 in 2012,” AHS will help veterinarians put prevention education information in the hands of pet owners. 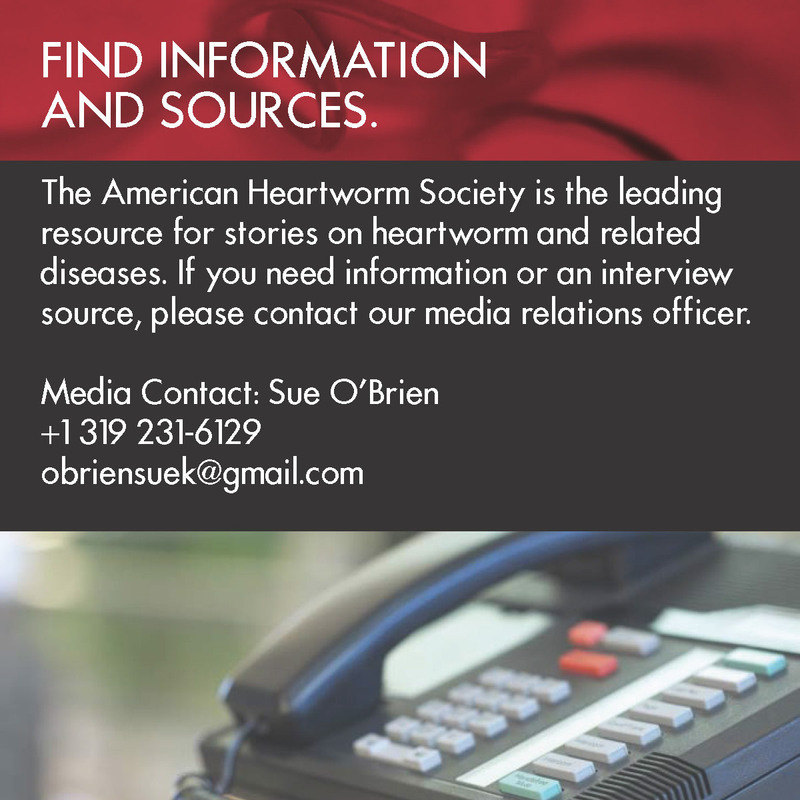 The campaign will feature a “Think 12” online resource center housed at www.heartwormsociety.orgto provide heartworm information and updates to veterinary professionals, as well as educational materials they can use with pet owners. The “Think 12” campaign goal is to keep annual heartworm testing and 12-month prevention top of mind. The program will run throughout 2012, with new materials produced each month. The materials, including client education handouts, case studies and scientific articles, will be available to all veterinarians, who will be encouraged to pledge their support to the “Think 12” mission. The new online resource center is expected to go live on the AHS website in February 2012. These key points are included in the revised canine and feline guidelines on heartworm diagnosis, prevention and management. While the fundamental recommendations — annual testing and year-round prevention —have not changed, the current guidelines reflect new information on lack of efficacy (LOE) and other issues. Diagnostics: AHS recommends annual antigen testing for all dogs. Antigen-positive dogs should be tested for microfilariae presence. 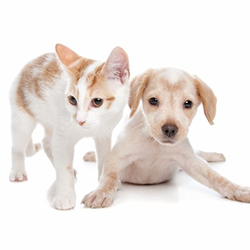 Year-round prevention: AHS recommends that all dogs and cats receive chemoprophylactic drugs throughout the year to prevent heartworm disease, enhance compliance, and control pathogenic and/or zoonotic parasites. Veterinary care providers must work together to increase the number of dogs receiving chemoprophylaxis and provide reminder systems to help pet owners purchase and administer products on time all year long. Lack of efficacy (LOE): The vast majority of suspected heartworm preventive failures result from inadequate prevention and testing. Macrocyclic lactones are still the best and only option for preventing heartworm infection. Adulticide therapy: AHS recommends a multi-modal approach for heartworm treatment. Pretreat dogs with a monthly preventive in combination with doxycycline prior to melarsomine administration. Use a three -dose regimen of melarsomine (2.5 mg/kg body weight) for either symptomatic or asymptomatic dogs. The regiment should include an initial dose, followed at least one month later by two injections 24 hours apart. Methods using only macrocyclic as an adulticide are not recommended.